The modern web-based soft- and hardware SDBnet platform was developed to exchange data between non stationary vessels and an centralized stationary data base at shore. Data are manually reported by the vessel crew and optionally collected by additional hardware components directly from available sensors on board. The collected information is transmitted to shore side and processed by the office system where it is being displayed for further analysis. Monitoring modules for full ship performance, shaft power, trim/list, fuel consumption as wall as the electrical energy are available. PMSnet reporting and online data can be inspected and compared by the analysis module. Available to both shore and vessel it enables to review deviations from the base lines or speed and trim orders. At shore fleet wide tools can be used to monitor key performance indicators and reporting behaviour, which support you in identifying problems early and preventing speed and consumption claims. On demand drill down analysis enables further investigation as required. The MRV ready solution. Lay back and relax. Implementing our PMSnet high-end reporting system will reduce friction and delays communicating speed and fuel consumptions with your fleet, providing data frequently and without data inconsistencies (due to formatting or minor input mistakes). The reporting is broken down into two categories. The event based reporting covers the daily business routines also known as noon-reporting. Additional ad-hoc reports document processes like bunkering, sludge disposal and scheduling. Requiring only a few data collector units, the PMSnet online system is able to collect all essential sensor data. The data collector setup is designed for easy installation and low maintenance. Fuel oil consumption, shaft power, trim/list and certain nautical data points are collected frequently (minimum 1/sec). 15 minutes average values will be logged and transmitted to shore, the logged data can be viewed by both office and vessel. Live values are available on board and can be viewed using the Performance Dashboard. Energy monitoring is increasingly an important source of information for energy optimization and for reducing operating costs. 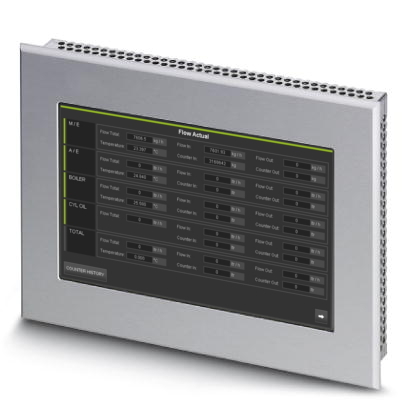 In order to process a high number of signals, EMSnet provides modular components keeping installation cost down. Integrating all suppliers and consumers providing a comprehensive view of energy flow and distribution as utilized by your vessel. The Shaft Power Meter is the only system to measure propulsion power directly. SPMnet with more than 20 years experience guarantees a reliable measurement of shaft rpm, torque and power. Measured values can then be used to evaluate ship speed and fuel consumption in relation to main engine rpm and power output. The correct trim will reduce the ship resistance and bring the bulbous bow under water. Existing trim estimates based on the draft system lack accuracy due to hydrodynamic influences. Using designated sensors like TLDnet will result in true trim, with almost zero external effects reducing precision. 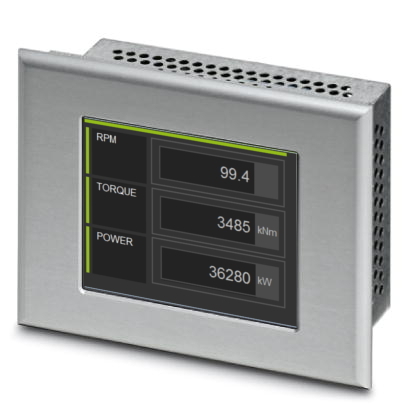 The TLDnet Trim/List Display Unit turns measurements into an accessible data source for daily use and can be installed anywhere on the vessel (i.e. the bridge or engine control room). FMDnet collects and displays the fuel consumption of the M/E, A/E, Boiler and Cylinder Oil. Different combinations and types of volumetric and mass flow meters can be connected and processed by FMDnet. The display unit is installed in the engine control room to simplify the access to all counter readings. CORnet provides reliable data by using low maintenance coriolis flow meters. The coriolis flow meters provide accurate mass flow, density and temperature measurement. No moving parts reduce the possibility of mechanical failures. In combination with the PMSnet the flow meter configuration can be validated and modified from shore (without expensive onboard service).